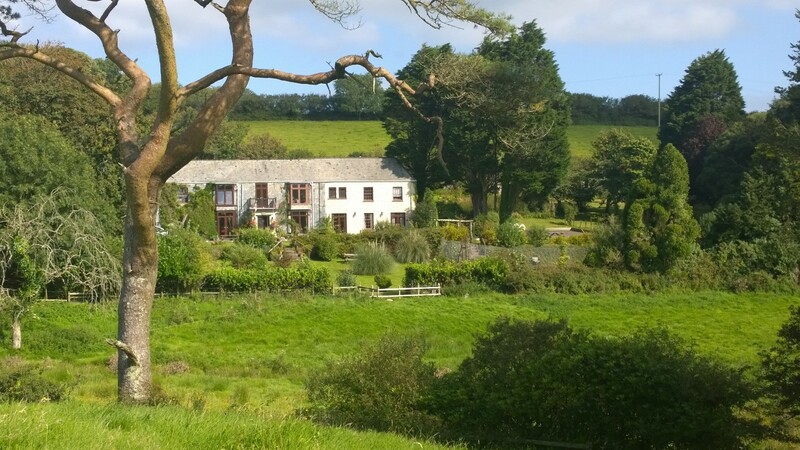 T rimstone Manor Country House Hotel and Trimstone Self-catering Cottages are set in 44 acres of landscaped gardens and beautiful North Devon countryside and provide the perfect location for those who want a peaceful and relaxing break. With easy access to the A361, only a third-of-a-mile down our lane, Trimstone is also perfect for those who want to explore North Devon. The fine sandy beaches and rolling surf of Croyde, Woolacombe and Saunton are a short drive away as are the secluded coves and cliff paths around Ilfracombe and Combe Martin. Other attractions include the famous twin villages of Lynton and Lynmouth, Exmoor, the North Devon coastal footpath, Arlington Court for the National Trust’s Carriage Collection or the delights of a working sheep dog and falconry demonstration at Lee Cross under a mile away. Especially if the weather is inclement any time, our prices are inclusive of all utilities, central heating, indoor heated pool (in season), high speed wifi, gym, games room, trampoline… and the sauna is coin operated (we are happy to give you the first two coins!). The table football and Pool are free – so no coins required there! Even if the wifi is intermittent because of atmospheric conditions or our thick walls here, you will be welcome to use the Hotel Lounge area (or any of the communal areas) of course. Every Hotel room is en-suite and most Prestige rooms have large, vertical safes for your valuables. 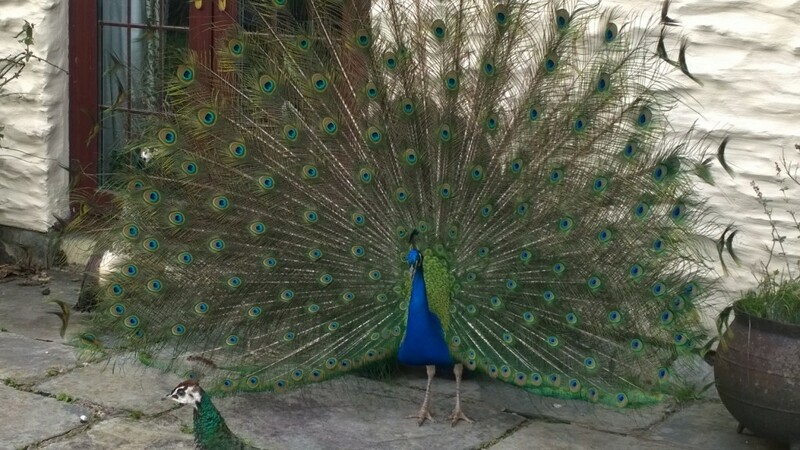 We have a small poultry collection as well which I am sure will interest, our four peacocks, amenity fields, etc. We also have a hard surface full-size play tennis court with plenty of room around it as well. Our flat gardens are yours to enjoy as well and there are picnic tables on the lawns. Cottage guests are welcome to have a barbecue or other meals in the adjoining amenity field which they are also free to enjoy. Not only do we have facilities here but nearby we have the glorious beaches so that all forms of water-based activities can be arranged (especially surfing and coaststeering) but we have glorious walking (even the Tarka Trail is only a mile away and of course there is the South West Coast Path – as is the local village with pub in one direction and a golf course and pub in the other)), cycling, horse-riding, off-road driving, quad bikes, clay pigeon shooting, fishing, golfing….. all nearby and weather permitting of course. Woolacombe is the closest beach – eight minutes by car (and voted twice by Trip Advisor as the best UK beach!) but Putsborough, Croyde, Ilfracombe and Saunton are no great distance either and Lee Bay for rock-pooling! Then there is Exmoor just a short distance in the other direction! What else can I say…. adequate parking and all free, a safe location, good mobile connections and radio reception (unlike some of the popular coastal areas around here!) and a very regular bus only a five minute walk up our lane (to the main A361). Oh yes and we have some dog-friendly Hotel rooms and suites and likewise cottages! We have twelve rooms and all are en-suite with full tea and coffee making facilities, TV and DVD player and offer a range of different styles and bathroom facilities. Many have large vertical safes for valuables too. We have Prestige rooms and suites, Classic Doubles and Twins and Singles. Many have lovely views over the rolling North Devon countryside. Rooms start from only £50 per night. We are an FSA 4 Star rated Guest Accommodation provider. We are open all year round (limited opening at Christmas and New Year usually). We are also a wedding and function venue and can accommodate up to 300 people outside in our grounds with a marquee too though usually smaller groups and family gatherings are involved! We have eight cottages including two Studio Apartments here. We have VisitBritain accreditation. Our largest cottage sleeps eight and often families and groups take more than one cottage to have a big group sharing with us. There is plenty of communal room! All the facilities are available for guests to enjoy. Guests staying in the cottages are most welcome to use the Hotel Bar and Restaurant. Our Tyme Restaurant is open for non-residents and guests alike and we always encourage pre-reservations just to be sure of availability. The evening menu changes every day and we are happy to accommodate any dietary requirements. We take bookings all year round (though usually close at Christmas and the New Year). We are happy to send you a specimen menu if you like. We are also open for coffee and tea and are a delightful location for Cream Teas too. We love to cater for parties and celebrations and we also offer conference facilities as well. 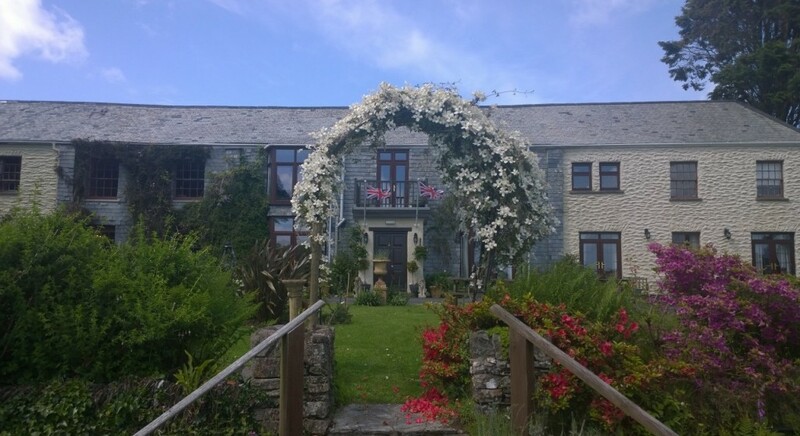 We are a lovely wedding venue and can even accommodate the ceremony here too in our characterful building which oozes charm and homely comfort.